Even though I'm over the moon proud of myself for having a house of my own - damn adulting is expensive!! There’s always something to spend money on. Always. It’s a fact of life. In addition to my goal of making more money, I also have to curb my unnecessary spending. There may have been a time where I didn’t have to worry about what I spent my money on, but now is not that time. To be completely honest, even if I had all the money I could ever need, why would I want to waste it? Yes, it’s nice to have things but those things don’t translate into anything valuable in my life. 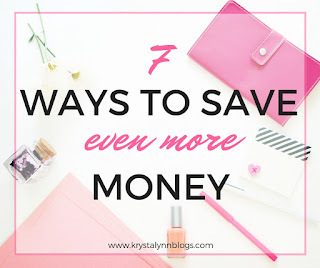 I’d much rather save money where I can so I could spend (or save) more on things that I’m passionate about - like buying gifts for friends and family, taking vacations, furthering my education. Also - a part of me is just frugal. I get that from my dad (Hi, Dad!). 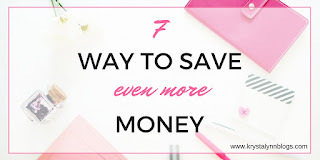 If you’re like me and want to save some extra cash then read on! You’ll be pleasantly surprised how many household products can be used for more than 1 thing. Peroxide for example is great for cleaning carpet/rug stains. The next time you run out of shaving cream (seriously, who still buys shaving cream?) reach for the conditioner instead. It'll leave your legs silky smooth ;) You can thank me later. Check out this post here to learn how to use vinegar in more ways than one, here for the many ways to use toothpaste, and here to learn how to use other common household products in ways you never thought possible! I’ve heard that you use 65% of your natural gas bill on heating your house (if you live in a warmer climate area this doesn’t apply to you and I am also so beyond jealous). Upgrading to a programmable thermostat could save you additional $$$ each month. If you work outside the home than you don’t NEED it to be 70 degrees all day long. Schedule the thermostat to go down an hour or so after you leave for work and then back up an hour before you get back home! It may be contrary to popular belief but buying things online can actually save you money. When you’re walking through a store it can be a lot easier to have a wandering eye. I mean, they put certain things at the cash register for a reason - because you’ll buy them! #2 Ebates is a blessing. If you haven’t already signed up for Ebates I give you permission to go sign up RIGHT NOW! I was an Ebates skeptic for a long time - I thought it was too good to be true. 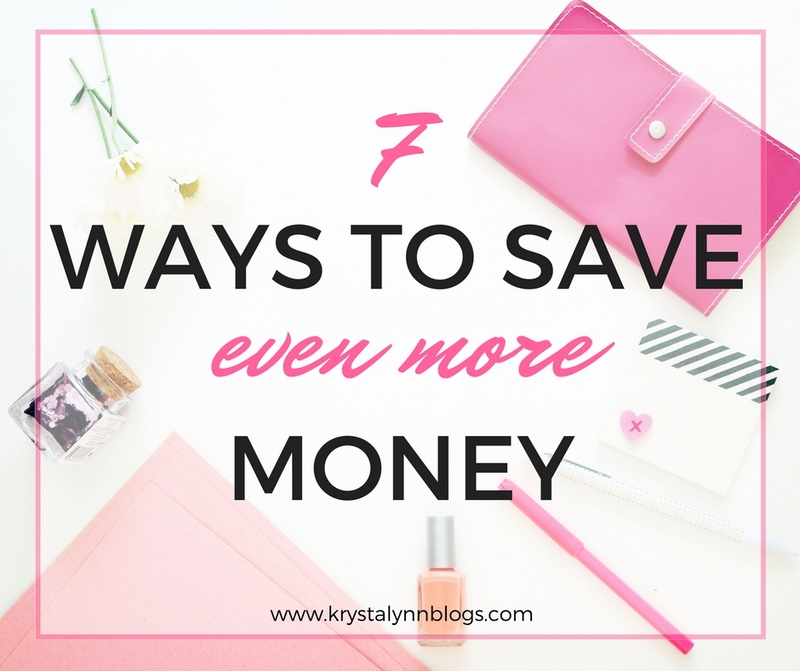 However, it actually is the easiest way to make money back on the things you're already going to buy! There’s a chrome browser you can download that alerts you if you’re shopping at a store that's eligible for cash back, so there is zero extra work on your part! Just shop like normal and wait for your cheque to come in the mail. I get it - you like the double shot, caramel drizzle, nonfat, with extra whip and chocolate dust on top. There’s nothing wrong with treating yourself with these every once and awhile, but getting a $6 coffee everyday can start to add up. You can still get your caffeine addiction from home. It’s actually pretty simple to make your own version of your favorite drinks. All you need is a little bit of seasoning and some syrup. Here are a collection of recipes for sweet coffee treats you can make at home. Cutting the cord to your cable subscription is great for 2 reasons. For some (me included), it’s not realistic to never watch TV. That’s where things like Netflix, Hulu , or Amazon Prime Video come in. You can still watch your favorite shows without paying a ridiculous amount of money for the shows you don’t watch. Seriously - why am I paying for 4 TSN channels?!? There’s also things like Kodi that allow you to stream free content. I’m not going to get into that here but I encourage you to look into it! Listening to people continuously telling me to meal plan drove me nuts. Then I started to do it and now I realize why they were so crazy about it. It's funny how that happens, haha. Before meal planning I basically just threw money in the trash. I would buy food from the grocery store without even thinking about how I was going to eat it. It’s great that mushrooms and green peppers are on sale - but what are you going to eat them with? I can bet that if you don’t have it slightly figured out already, when you get home from work late and you got that hangry feeling, you’re not going to want to figure it out then either. You’re just going to order a pizza and let the food go bad. If you don’t want to collect paper flyer you can always use one of my favorite apps Flipp and see your local flyers that way too. The app has a neat search feature as well, so if you’re in the mood for chicken parm this week you can always do a quick search to see if you can get everything you need on sale! I feel silly that I never thought of this one until recently. If you follow me on social media you might have noticed that I’ve been reading a lot more. Even though shopping on Amazon is my most loved hobby, my bank account would be a little angry with me if I needed to buy a new book every month. Your local library is a goldmine for furthering your literary goals. You can borrow a wide variety of reading materials and a majority of them also provide audiobooks that you can borrow right through an app (the one my library uses is hoppla). If the library isn’t your thing or you don’t live in close proximity to one you can always start your own “library” with friends or coworkers. Get them to bring in books that they’re done reading and swap them with each other. 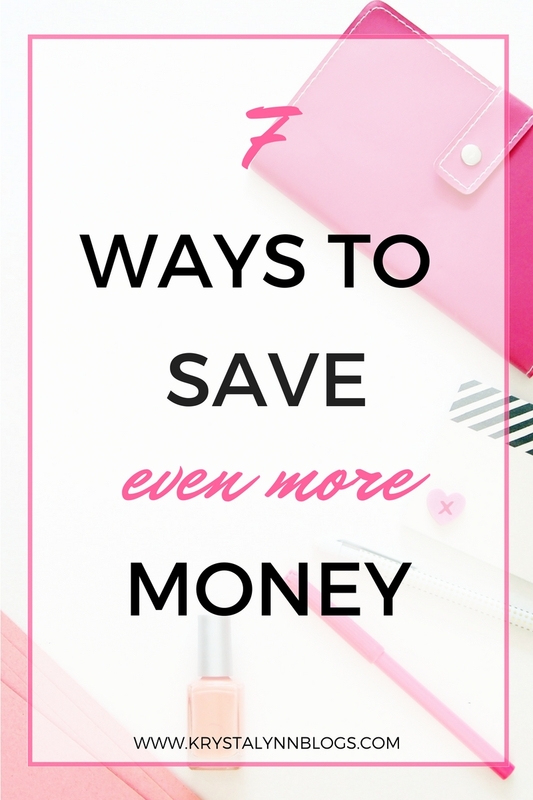 What's your favorite way to save money?